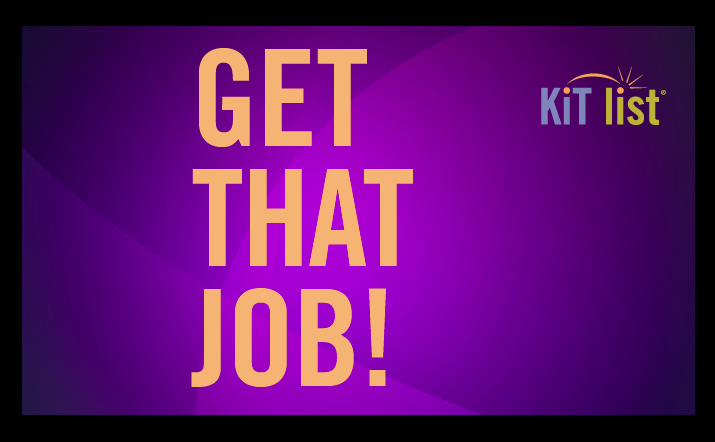 Please share this with your friends, too, since we’re doing this series to not only help you and our KIT List community, but to help all job seekers be more effective in their search. In our monthly shows, you’ll hear directly from the experts on smart job search and career management strategies – as well as the common mistakes to avoid! Friend-working is a more positive way to approach networking and turns what can be a scary process into one where you to help others first, which also ends up helping you in a more natural and enjoyable way! We’re fortunate to have two outstanding guests, Hamid Sadaat, founder of CSIX Connect and Tom Brouchoud, Senior Manager of Global Talent Aquisition at Sandisk. I know many of you have benefited from Hamid’s generosity through his excellent networking organization, CSIX Connect. Hamid and Tom are long-time friends and they bring great perspectives and humor. That show has smart tips on interviewing, resumes and cover letters, among other topics. This note on YouTube is exactly the reason why we’re doing this series! Feel free to share these shows with anyone who is looking for a job, and stay tuned for the upcoming shows.